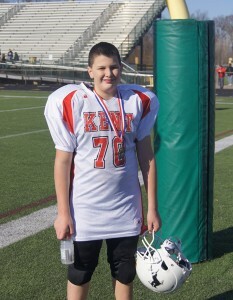 If you try to tell 11-year-old Joe Gavriloff he can’t participate in sports because he’s deaf, he won’t listen. 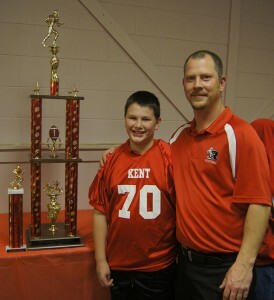 A starting lineman for the Kent All Ohio Youth Football Association, Joe’s team, the Rough Riders, participated in the league championship the past 2 years. This weekend, Joe will be rooting for the Seahawks and their fullback Derrick Coleman, the first legally deaf offensive player to ever play in the NFL. He says he admires Coleman and the hurdles he’s overcome to play on Sundays. 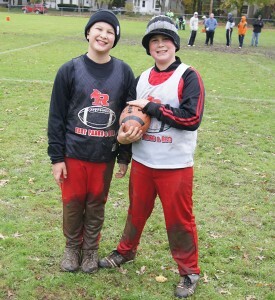 Someday, he would also like to play in the pros, but his favorite team is the Steelers. His coach, Cecil Anderson, said Joe might just do that someday. Joe also has size in his favor. A fraternal twin, he weighed a mere 5 lbs., 8 oz. at birth. But he’s made up for that now, weighing in at a strong 170 lbs. He wears a men’s size 14 shoe and he’s already 5 ft., 7 in. tall. His mom, Carrie Gavriloff, who’s the administrative director of neurosciences at Akron Children’s Hospital, says his pediatrician forecasts his adult height will tower at 6 ft., 7 in. Joe had normal hearing until he turned 5. Then, for reasons that remain unknown, he began to lose his hearing and now has 70 percent loss in his right ear and 65 percent loss in his left ear. 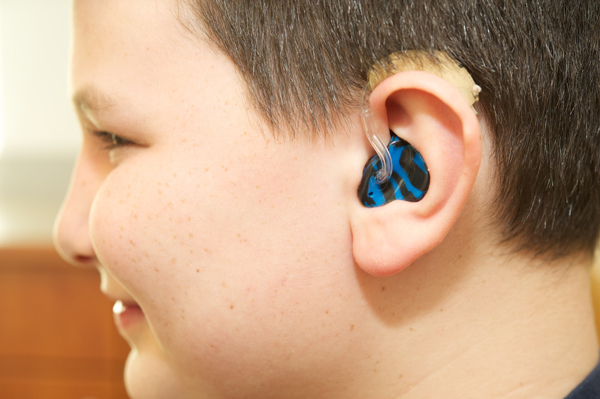 Because he could hear well his first few years – and his parents caught the decline in his hearing so quickly – Joe’s speech sounds normal and you would never know he had a hearing deficit, except for the neon ear molds he wears in his ears. He’s a straight-A student at Stanton Middle School and very popular with his friends and teammates. Dr. Anton Milo, director of Akron Children’s ENT center, said Joe can’t wear his hearing aids while he’s playing football. A former tight end himself, Dr. Milo said the helmet would probably cause Joe’s hearing aids to create feedback – even if you could keep them from breaking from the hard hits. But Dr. Milo’s not surprised that Joe is such a good athlete. Without the hearing aids, it can be tough for kids with hearing impairment to hear their coaches and fellow players, especially through all the background noise during games. Coach Anderson said the players all respect Joe’s ability and they’re happy to help him out, making sure he has sight views so he can read the lips of the quarterback calling the play. His fellow linemen help him keep up with the play calls by tapping out signals on his back before the play. Putka said as an audiologist, she loves working with families like the Gavriloffs, who made a point not to treat Joe differently than their other children. 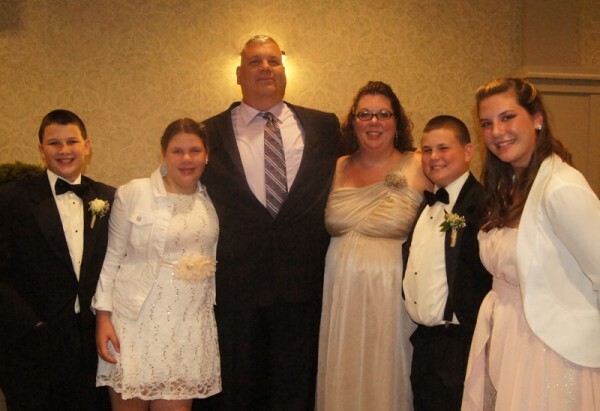 Joe (left) with his family: twin sister Elizabeth; dad, Todd; mom, Carrie; brother Christopher; and sister Mary. This Sunday, Joe will be watching the game and dreaming about all the football seasons, and maybe even Super Bowls, to come.